Dream of Being a Best Selling Author? 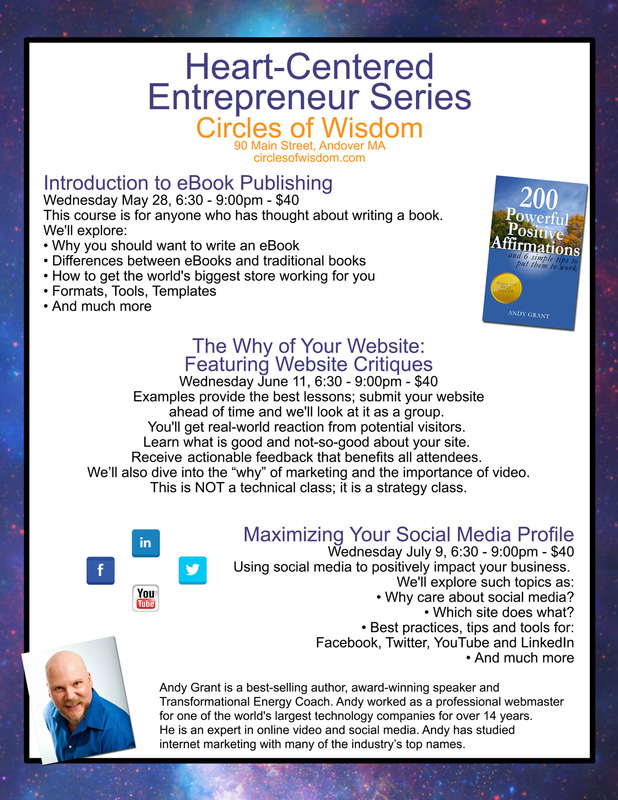 At Circles of Wisdom in Andover, Massachusetts. Click here to register, now! Only $40 per person. This course is for anyone who has thought about writing a book. plus give you lots of options for next steps to make your author dreams a reality. Leave a comment for: "Dream of Being a Best Selling Author?"